Our Team is Ready and Waiting for your Call! We look forward to working with Buyers and Sellers. We have been selling in Citrus, Marion, Levy and Hernando County since 2005. We are Ex-Military, Educated, and well traveled; Proud to call this area our home. We enjoy Fishing, Biking, Boating, and All Outdoor Activities. 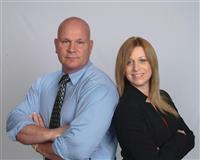 Were confident our Team will do an excellent job taking care of all your Real Estate needs. We look forward to meeting you and sharing the Paradise we call Home. Buying or Selling a home should be an easy and pleasant experience. We pride ourselves by taking the stress off of you.